"Where to, Will?" Will turned to face his guardian, James Overlock. "To the forest." Will Poole finds everything about his home and the New Meadow Plantation confining. He longs for the freedom of the wilderness. There, in search of a black she-wolf that has been raiding the flocks, he encounters Squamiset, an English-speaking native, who has a profound impact on Will's life. Will is reprimanded by John Rockingham, the Governor of the plantation, for fraternizing with the natives, but ignores the warning and seeks Squamiset's council, only to be caught and thrown into the stockade along with a childhood friend accused of murder. When Squamiset rescues them both, and the three flee the wrath of Rockingham, Will's life takes a radical turn as he discovers that his fate is linked with the natives and his destiny is intertwined with the mystical spirits of the new world. 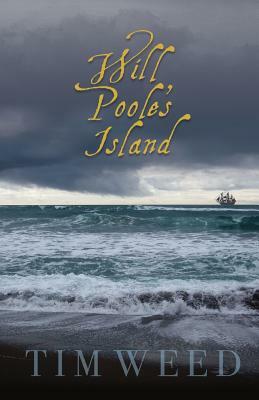 WILL POOLE'S ISLAND is a tale of adventure, mystery, and wonder in which a young man discovers that he is destined for more than the narrow confines of his culture and his upbringing led him to expect.